The Dong Thap province Department of Agriculture and Rural Development will earmark over 2,000 hectares of land for farming giant river prawns, most of it in Tam Nong, Thanh Binh, and Cao Lanh districts and Hong Ngu town. Ho Thanh Dung, deputy director of the department, said since 2013, when the land available for breeding these prawns peaked at 1,133 hectares, yielding over 1,000 tonnes, the area had been decreasing. Last year it had fallen to just 248ha, yielding around 77 tonnes. The reason for the drop is climate change due to which there have been floods and worsening water quality, affecting the growth of the prawns. 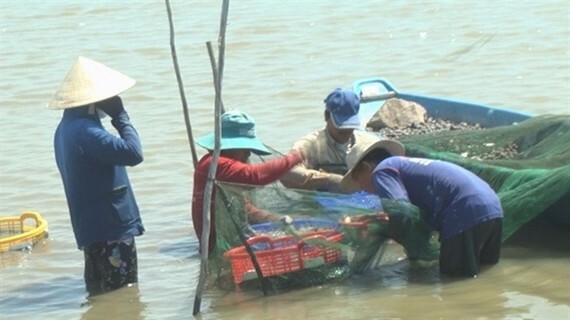 In recent years seaside provinces such as Tra Vinh, Kien Giang and Ben Tre have undertaken intensive farming of giant river prawn with low cost and high output, leading to lower demand for the crustacean from Dong Thap. To facilitate prawn farming in Dong Thap, the province has proposed several policies such as creating co-operative groups, linking farmers with suppliers, production facilities and distribution channels, setting up research into farming techniques and technologies and reducing the use of chemicals. Last year it implemented crop rotation with farmers growing rice after harvesting prawns. The organic waste from the giant river prawns at the bottom of the lake greatly increases soil fertility and rice output.